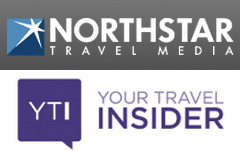 Northstar Travel Media, a business-to-business (B2B) information company serving the travel industry, has acquired Your Travel Insider (YTI), a digital publishing firm focused on the consumer travel market, for an undisclosed amount. As part of the acquisition, Roy Weiss, founder of YTI, will become the group publisher of Your Travel Insider and will now report to Bob Sullivan, Northstar Travel Media's executive vice-president. Your Travel Insider was founded by Weiss in 2003 and the company specialises in helping travellers cut through the online clutter by providing relevant information and offers. Its e-newsletters, Luxury Cruise News and Your Travel Insider, reach over a million travellers and provide relevant itineraries, advice and special offers from travel partners. With behavioural targeting capabilities, YTI helps travel marketers reach the right audience with the right message and at the right time. "Today's travel enthusiasts are hungry for content that is relevant to their needs. By joining forces with Northstar Travel Media, YTI can provide a combination of rich content for our readers and a targeted audience for our advertising partners," said Weiss. Northstar Travel Media is the leading provider of news, information and data for the travel, meetings and hospitality industries, and owns brands like Travel Weekly, Business Travel News, Meetings & Conventions, Successful Meetings, Incentive, Meeting News, Procurement Travel and TravelAge West. In addition to its directories and periodicals, the company also publishes a number of online subscription information resources including The Beat, Travel42, Weissmann Reports, STAR Service Online, Intelliguide Corporate and BTP24. Moreover, it produces over 35 events in retail and corporate travel and meetings industry. Based in New Jersey, Northstar Travel Media is a portfolio company of Wicks Group, a leading private equity investor in information and business services, communications and media sectors. "The addition of YTI provides Northstar with significant position in the consumer travel database market to complement our leadership in the travel trade industry," said Thomas Kemp, chairman and CEO of Northstar Travel Media.